Comparison of the best smart light bulbs including comparison of features, pros/cons, and individual reviews for each light bulb. Around 11 percent of residential energy use comes from lighting, so switching to more efficient light bulbs can make a big difference when it comes to sustainability. Smart light bulbs are a great example of sustainable lighting technology, and they’re also convenient to use. If you struggle to wake up in the morning, for example, you can use smart light bulb technology to schedule lighting changes that mimic a sunrise. Many smart light bulbs require a central hub, which can be pricey and more complicated to set up. Standalone smart light bulbs let you enjoy the features of a color-changing smart bulb without committing to and investing in an entire lighting system. To help you determine what smart light bulb might be best for you, here’s a look at four standalone smart light bulbs, from the most affordable to the more luxurious. The Tikteck Smart LED Light Bulb is a no-frills, low-cost option. It has a good range of colors and scheduling options considering its affordability, and the bulb works decently well, minus a few connectivity issues now and then. You can control up to 32 of these bulbs via Bluetooth on your smartphone or tablet, and you can also give others authorization to control the bulbs’ settings. It’s an ideal model for those wanting the most basic smart bulb functions without the extensive features or price tags of more advanced models. The general consensus from reviewers is that the Tikteck Smart LED Light Bulb does what you’d expect a smart bulb with its low price to do. Though it’s marketed as being capable of 600 lumens, it only hit the low 400s when tested, and it seems more suitable as mood lighting than anything else. The LIFX Color 1000 (view on Amazon) differentiates itself visually from other smart light bulbs with its flat top—and it’s slightly smaller and more energy-efficient than the first-generation bulb was. You can integrate it with IFTT, Amazon Echo, Nest, Windows, Alexa, and SmartThings, and it’s suitable for a broad range of users. Its main drawback is the higher price point of around $60 per bulb. But by combining multiple LIFX smart bulbs, you can create different lighting scenes around your home. Users of the LIFX Color 1000 say it’s more efficient, has better colors, a better app, and more compatibility with other products than the similar Philips Hue light bulb, which is why we chose to feature the LIFX as a top-tier bulb. Unlike the Philips Hue, it doesn’t require an expensive hub (Philips’s starter kit costs nearly $200). The lower setup cost may compensate for the bulb’s high price tag for some consumers. The LIFX Color 1000 advertises an output of 1055 lumens, and it gets pretty close to reaching that in testing. Reviews also report that the bulb’s integration is easy to set up and is, again, better than that of the Philips Hue. On the downside, connectivity issues seem to be a problem for a lot of users. Many reviewers cite unresponsiveness and other connectivity issues as reasons why they didn’t rate the bulb higher. Most say they love the bulb when it works, but there’s a lot of room for improvement. 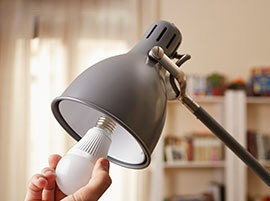 Flat top limits the amount of light the bulb casts downward, so it may be most effective as an accent light bulb. Music syncing requires positioning phone next to your music’s source. The Misfit Bolt Wirelessly Connected Smart Bulb (view on Amazon) is an interesting addition to Misfit’s line of fitness trackers, and integration between these products is expected to improve in the coming months. Aesthetically, the Bolt differentiates itself from other smart light bulbs with its black spiral body, which has a luxurious feel to it. Though accurate color-wise, the light given off by the Misfit Bolt is slightly dimmer than that of the LIFX Color 1000 or the Philips Hue, though each bulb’s respective pricing reflects this difference. Customer complaints include the bulb’s short range and limited functions compared to other smart bulbs, while positive reviews cite the vibrant colors and affordable price. Integration with Misfit Flash allows you to control the Bolt’s brightness and colors without a phone. Beta feature turns the Bolt on and off as you enter and leave Bluetooth range. Other, similarly priced smart bulbs have better integration with systems like Amazon Echo, though some of them require a hub. Light isn’t cast evenly in every direction. 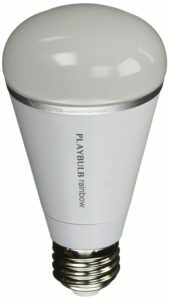 Not to be confused with its more expensive cousin, the MiPow Playbulb Color, the MiPow Playbulb Rainbow is the size and shape of a standard light bulb and can be used under a lampshade to accent a room with its variety of colors. It fits with most standard screw sockets and can fit additional sockets when used with an adapter. The bulb’s sleek design and matte white casing make it aesthetically pleasing, though it’s unlikely to brighten an entire room unless you combine several bulbs together. Those testing this bulb report a number of issues with the app, including lagging, connectivity problems, and occasional crashing. Some features are weak, such as the Candle Effect, but the bulb is able to transition between colors seamlessly. Less-impressed reviewers cited app problems as their main issue. Smart light bulbs are an exciting modern technology that will continue to advance as time goes on. There’s already enough variety in terms of pricing and features to satisfy the needs of many, so don’t be afraid to dip your toes in the water and see what smart light bulbs can add to your home’s environment. App’s smoothness and functionality could be improved. Price doesn’t necessarily reflect its capabilities—some smart bulbs with better apps and features only cost slightly more. Using Bluetooth and/or Wi-Fi, smart light bulbs give you remote control of color-changing bulbs, allowing you to create different lighting settings you can adjust with a few taps on your phone screen. 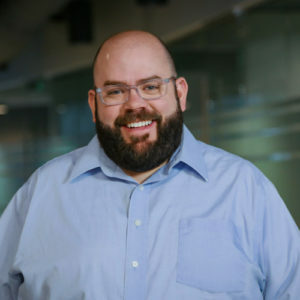 They provide increased control over the color and brightness of the lights in your home, and some also have fun features such as music syncing and notifications when users receive texts or calls. Of course, not every feature will appeal to everyone, so you should assess your options before purchasing a smart light bulb to ensure you don’t shell out for a luxury product with features you’ll barely use. Bought a couple of Tikteck Lightbulbs. It has been a year and still have not received it. I have been contacting them and calling for the last two months only to get a sorry, we’ll ship it to you as soon as we get more. It has been 3 months now and nothing. If I want an update I have to call them several times to get a reply. Clearly not a very professional company.